Just fold it out and anyone can happily stay the night. No wasting time blowing up an air mattress that’s deflating as fast as it’s blowing up. No overpaying for a hotel. Turn your dining room into an extra spare room. Great for the kids coming home to visit! Even free up some space in a studio apartment. There are so many great reasons for getting a sofa bed but it’s hard to choose the right one. That’s why I put together this guide. I’ve looked into A LOT of sofa beds and have confidently come up with the best ones available for you to order today. First you need to know who you’re buying the sofa bed for. Is it for when the in-laws come to stay or is it so your child can have a nice easy sleepover? Or do you live in a studio and need a more practical bed to free up some space? For a child you can get yourself a nice easy Z chair that will fold into a small single. But if the in-laws are coming you will need something a little more luxurious. Luckily I cover all the different types of scenarios and types of bed so you can get just what you need. Alternatively consider an air mattress if it’s just for occasional use. Space is also a big factor, there’s no use getting a three seater sofa that turns into a bed if you have nowhere to put it! So I’ve included the dimensions so you can measure and check it will fit when it unfolds! Whatever you do please don’t order one and then unfold it into your television. This is the material you’re going to be lying on if you don’t use a sheet so is definitely important! The top sofa bed comes in a variety of materials so you can pick your own which is pretty cool. But, I keep a non-fitted sheet in the house to throw on the sofa bed. They’re often not quite the as big as regular doubles so a fitted sheet is too big. The cost always has to be considered when buying a new piece of furniture. If it’s for your child’s friends to stay over then you can probably cut back on the cost and get a Z-bed or a futon. But if your guests aren’t children then you definitely want a higher quality product to avoid aches and pains. And don’t forget to consider how much time you spend sitting on the sofa. Remember, this is an investment in your comfort, so make sure you’re getting the best. How Comfy the Sofa is! Finally you have to make sure you’re not to laser-focused on the bed aspect of things. It will likely be used as a sofa a hell of a lot more than it gets used as a bed! So you want to have a sofa you’re happy to sit on and one that won’t give way underneath you. After Extensive research we found the best sofa bed. It doesn’t come cheap but good quality never did. The top pick excels in every field as a beyond excellent sofa and a comfortable and easy to set up bed. Not to mention the superb build quality and 10-year guarantee. Don’t worry if it’s not for you I’ve reviewed some others below too just to be sure you get exactly what you need. If you’re looking for the best read on. John Lewis excel at everything they do and this sofa bed is no different. They’ve thrown convention to the wall and given us a sleek stylish sofa that is super comfortable to sit on while having a bed you happily kip on every single night built into it. It folds out into a double bed so two people can comfortably sleep the night away. A common problem found in sofa beds is that with no board or frame underneath the cushions they tend to sag. That leaves you with a sofa that needs to be plumped and rearranged before every sit. Well, this sofa is built so the bed slides out from underneath and folds up. So the cushions rest on a frame like a normal sofa making a miraculous difference in the feel and comfort. Because it’s a three seater sofa you also make the bed width ways instead of lengthways which is a really practical space saver. No more relocating the coffee table and everything on it just to unfold the bed. As a bonus the chaise lifts up giving you extra storage for all the bedding you might need. Meanwhile the 8 cm mattress provides you with more than enough support to sleep soundly all night long. And if you’re not a fan of the leather then you’ll be pleased to hear you can customize your own and chose exactly the cover material you want. (This can also knock the price down if that was an issue) Click here to see what materials John Lewis has to offer. It really is everything you could want, a pullout bed that will have your guests convinced there sleeping at home. All fit into an extremely comfortable sofa that will last you over a decade. The chances are if you’re looking to use a sofa bed every day when you live in a studio flat. Or maybe you’re looking to rent out a spare room that’s a bit on the small side. All in all, you’re probably not looking to break the bank right? Well this is going to be your bed or someone else’s every single night so you need to make sure of a couple of things. It needs to be high enough quality to provide back support while being comfortable enough for them to sleep soundly every night. And don’t forget you want something simple. If you’re going to be folding it in and out every day you don’t want to be faffing around with lots of clips and dodgy hinges to put the thing together. 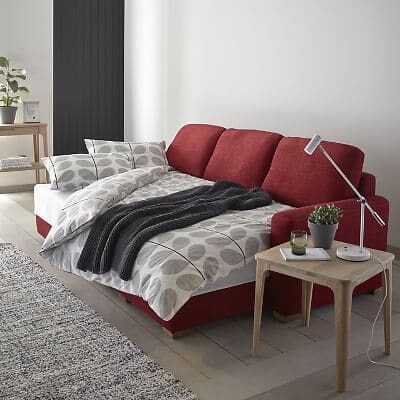 This modern look sofa bed is ideal for anyone short on space. Its firm cushions make it ideal for long-term use. But for those wanting a little more comfort, you can get yourself a mattress topper and simply tuck it down behind when not in use. The top quality build that John Lewis always offer is essential if you’re going to use your sofa bed long term. You don’t want a futon where you can feel the wooden slats underneath or one that you kneel on and it breaks! 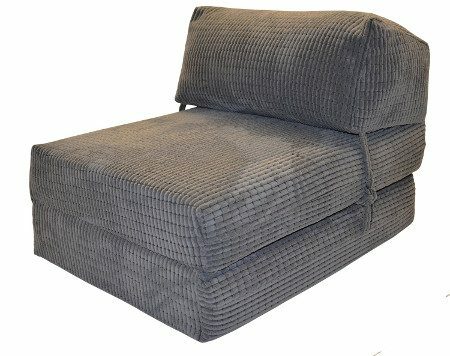 A comfortable sofa and a comfortable bed is what you need and this Clapton sofa bed provides just that. It is 180cm long as well which makes it perfect for anyone up to 6 foot tall. Any taller than that and you’ll have your toes hanging out or you’ll have to bend your knees. It’s about the size of a single bed but a little wider making it great for those in need of some extra space. Terrific value and available in three different colours to suit almost any decor. And an added bonus it’s available with free delivery. 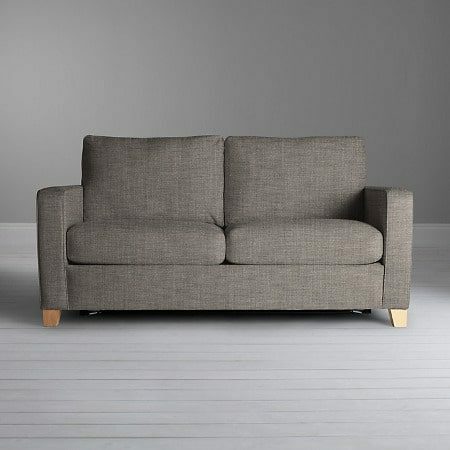 Now best and cheap are normally two words that are hard to fit into a single sentence, but I’ve done my very best and found the best cheap sofa bed for those who are in need but don’t have the budget for the absolute best. Just remember there’s no point skimping out ending up with an uncomfy sofa with a bed in it that no one wants to sleep on! First off a 10-year guarantee is fantastic! Reliable comfort as a sofa and a bed for the next decade, lovely. And it has a huge range of colours and fabrics so you can get the exact one you need to complete the look of your room. The bed itself is relatively simple to pull out, it’ll take a couple of tries but you’ll get the hang of it in no time. Then you have a firm but a comfortable bed to sleep on which is really good for a little extra support that you don’t often get with a sofa bed. It does, of course, make it a firm sofa too but again still very comfortable. 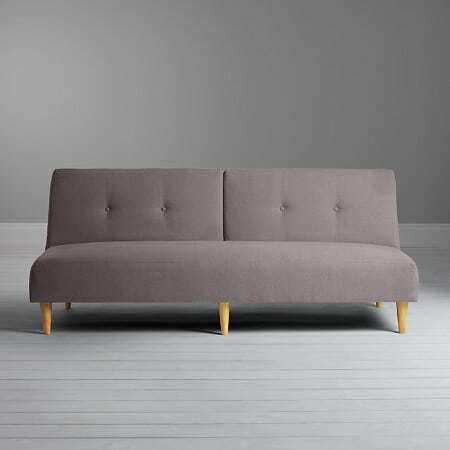 Overall, a great sofa with a comfortable double bed that folds right out. I have so many great memories of having sleepovers as a child. Staying up late eating sweets and gossiping the night away. And luckily I had a loft bed with a futon underneath making it super easy to unfold and set up with a sleeping bag! So I understand the importance of having something simple and easy to set up. I also know the carnage we used to cause so and it is reasonably priced doesn’t hurt anyone either! That’s why I picked a nice easy Chair bed that can be folded out into a mattress in no time. Amazon have a great z-bed for sale. It’s a little too small to sleep an adult but it is more than ideal for a child. Easy to set up for a sleepover and small enough that it will easily fit into a child’s bedroom. The only problem will be getting them to keep it clutter free so it can still be used! It’s also made from a fire retardant material for a little peace of mind which is nice. But one of the best things about it has got to be the price. It is an absolute bargain for such a reliable and useful item. It’s far easier than setting up an air bed and cheaper as well since you don’t need to buy the bed, the pump and the puncture repair kit. All in all, it’s a lot warmer and comfier than the floor is and I’m sure any child would be thrilled at having their own sofa bed for the friends to come and sleep on. 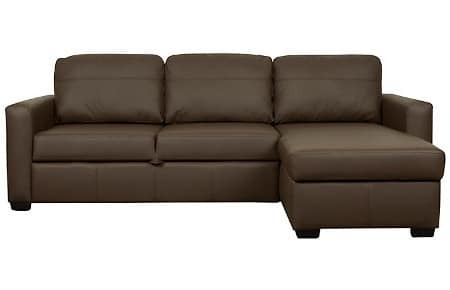 And that concludes our guide to the best sofa beds, if you have any questions feel free to comment below and I’ll be sure to get back to you.